Room was comfortable for 3 people. It was close to the port and many places to eat and drink near by. It was very loud and lively the Saturday we stayed. I would definitely recommend staying here! Helpful cheerful staff. 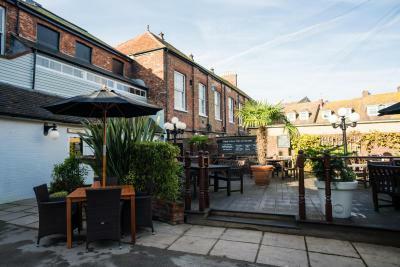 A location second to none with quayside accessibility, shops and restaurants all close by. The bar food was incredible value. Good location we walked from ferry terminal then in the morning to the train station. Great breakfast! Loved the Benedict royale - so refreshing to see that on the menu. Wonderful breakfast. Great choice. Great room. Comfortable bed. Large bathroom. Bed was comfy. Staff were lovely and friendly. Breakfast was good. Location great. Our room was lovely. Staff couldn't do enough for us. The food was excellent. Friendly staff, good food at lunchtime, comfortable bed. 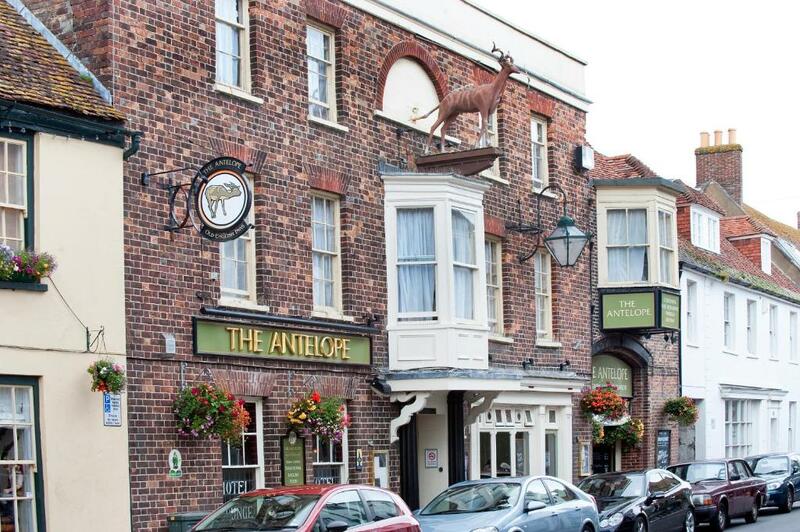 Antelope by Greene King Inns This rating is a reflection of how the property compares to the industry standard when it comes to price, facilities and services available. It's based on a self-evaluation by the property. Use this rating to help choose your stay! 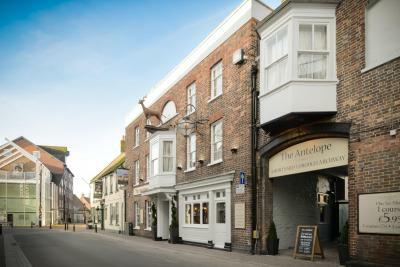 One of our top picks in Poole.Situated on Poole Harbor wharf, The Antelope is just a 10-minute drive from Sandbanks beach. 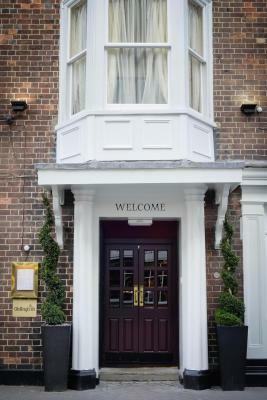 With a 500-year history the hotel’s comfortable rooms also offer free Wi-Fi access. 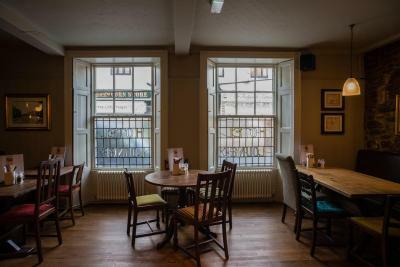 Still retaining part of the original 15th-century building, guests can enjoy a traditional bar with an open fire in the winter and a courtyard garden in the summer. 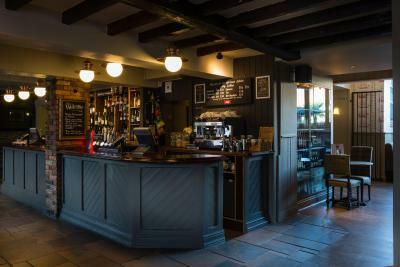 The nautical-themed Smuggler’s restaurant serves a large seasonal menu using locally sourced ingredients, including freshly caught fish, as well as Real Ales and fine wines. 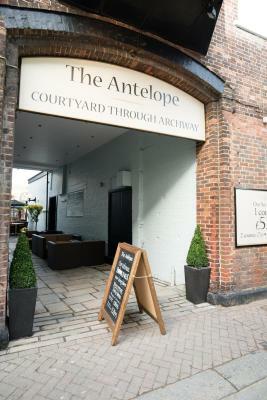 The Antelope offers free parking, with public parking also available. Poole Harbor and the cross-channel ferries to France can be reached in just 5 minutes by car. 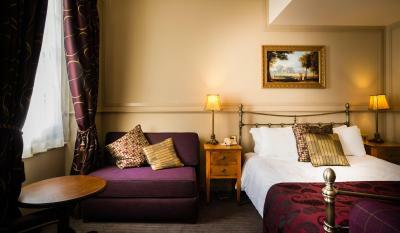 When would you like to stay at Antelope by Greene King Inns? 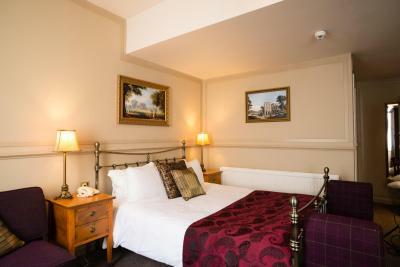 With free Wi-Fi, this room comes equipped with a TV, a telephone, tea and coffee-making facilities, and ironing facilities. Please note this room comes with a free-standing roll top bath only, no shower. House Rules Antelope by Greene King Inns takes special requests – add in the next step! 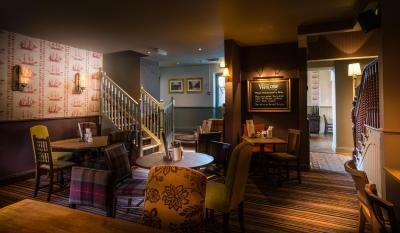 Antelope by Greene King Inns accepts these cards and reserves the right to temporarily hold an amount prior to arrival. Would have been concerned if I had to go to my car at night, as there did not appear to be any lighting, and the ground was rough - fortunately I didn't have any reason to do so. Location excellent -lovely walk along the harbour and town. Car park a little difficult to negotiate, but great to have free parking in that area! The Food was lovely, with good variety on the menu, and breakfast was plentiful and well presented. All the staff were very helpful and friendly. The room was a small double, perfect for a lone traveller, and the bedding was good quality, especially the pillows, the most important part of a good sleep. A lovely, quirky old building in an historic part of the old town, and great base for a short break. Breakfast, full fry soggy mess, scrambled eggs, omelette were dire, juice/coffee ran out all the time. Took forever to place order and delivery slow. Need a good chef for breakfast. No plug in bath, no shower attachment, needed to ask for a jug to wash hair. Socket for kettle did not work. Not enough staff manning the bar during the day, we went elsewhere for a drink,.. Although room was clean, the double bed squeaked continuously when laid on making it an uncomfortable nights sleep. Dogs not allowed in main dining area for breakfast (fair enough) but the 'snug' where we sat was unlit, had no music playing and we were hoovered around whilst eating breakfast whereas the main eating area was much more welcoming. Beer garden was a courtyard so no grass area for dogs. Close to Poole Harbour with parking facilities (although car-parking area was in dyer need of some maintenance). Accepted dogs and family room was spacious enough for three..
Because the hotel is old, although it is decorated well, it maintains the original sash windows which do not close well and the room we stayed in was noisy from the road in front of the hotel and pedestrians. Great location and variety and quality of breakfast. Room was tired and had very musty smell. Window wouldn’t shut so very drafty. We were unable to report it as were back very late. Reported on checkout but there is no way staff servicing room would not have known. Breakfast took over half an hour to arrive and not very much on the plate. Meal and drinks in bar were excellent. Staff friendly. Would have like to easily access more coffee making items. Space, cleanliness. Very good value for money. Attitude towards dogs. Would certainly use again. Until now, only ever used Travelodges because we take our dogs everywhere with us. Well done for an outstanding experience. 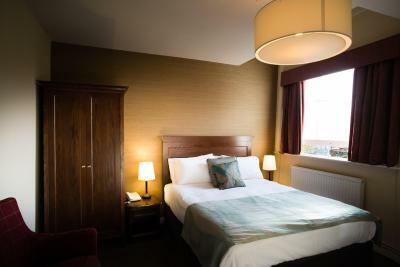 Staff were extremely helpful, friendly and welcoming made you feel homely rather than being in a stuffy soulless hotel, beds and bathroom were both clean and comfortable. 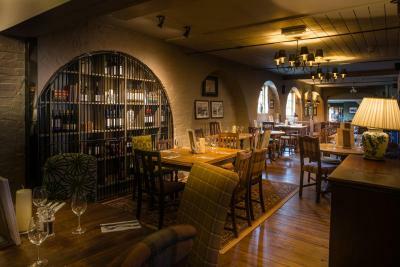 Couldn't fault the food for choice, value for money freshly cooked and good portions also very accommodating if you have allergy issues to any of the ingredients and will tweak until it is right with genuine care and concern. 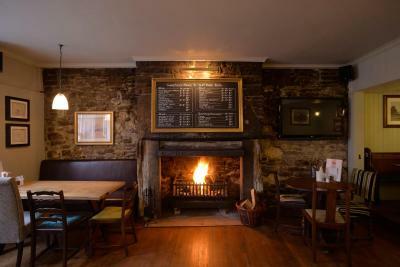 An amazing choice of freshly cooked breakfasts plus cereals, toast and conserves, croissants, muffins, juices tea's or coffee all served with a smile in a delightful restaurant, would definitely stay again, thanks to all. Room overlooked the busy high street so no chance of relaxing in the afternoon or having a morning lie in. Rooms are small and outdated. Location is convenient for all activities in Poole. Friendly staff at reception. Staff were very helpful and kind. Went out of their way to offer assistance. Beautiful hotel. The breakfast was the best I've had. Lots to choose from. The bed was very comfy and my room was perfect.